Town of Enfield....A Great Place to Live! Founded in 1740, Enfield, North Carolina is the oldest town in Halifax County. In 1896, the opening of the Enfield Tobacco Market brought a glimmer of prosperity to this small town of 700 people (today 2300+). As the tobacco market grew, new businesses were established along with the Bank of Enfield, the oldest bank in Halifax County. Enfield is easily accessible 5 miles from I-95, Exit 154. Peanuts, however, soon became the leading agricultural market in Enfield. The establishment of many buying and cleaning stations for peanuts soon made Enfield the world's largest raw peanut market. Every year is host to the Peanut Festival. Family fun featuring good food, arts and crafts, farm equipment displays, carnival and amusements, music and dancing and, of course, the famous peanut — no small thing around here! 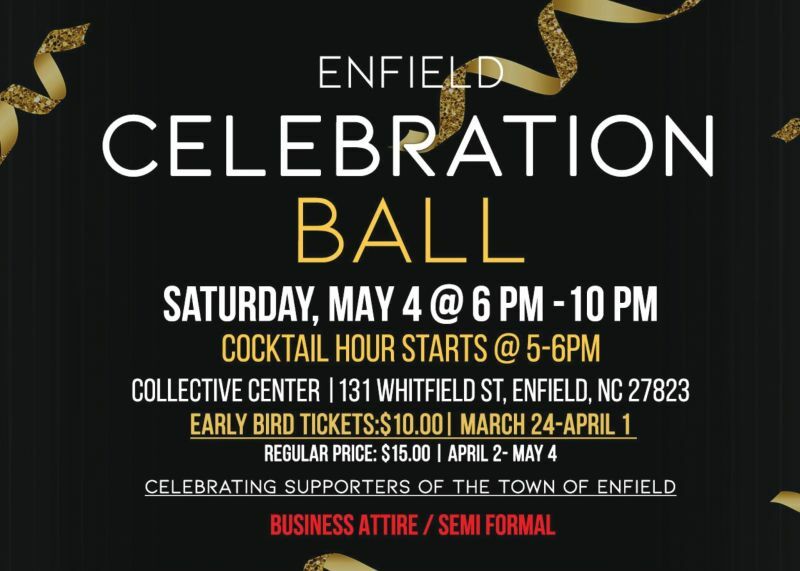 Check back for information and sponsorship opportunities for our Inaugural Enfield Celebration Ball. Town of Enfield Launches a Brand New Website! Subscribe Today!